MISTAKE #1. Being Too Cautious. Are you a timid person financially? Do you dither in the supermarket over which packet of cereal you should choose? Now's the time to change your attitude. The Silver Lotto System works well with say, $5-$10 worth of tickets. But it works even better with $50. That's because your win rate is greater when you give it a bigger chance. So don't hold back. Take a bold step for the next game and give it your best shot by adding more money to the mix. You'll be surprised at what comes back to you. MISTAKE #2: Missing The Deadlines. It took only 7 seconds for a Montreal lottery player to lose the $27 million jackpot on his ticket. 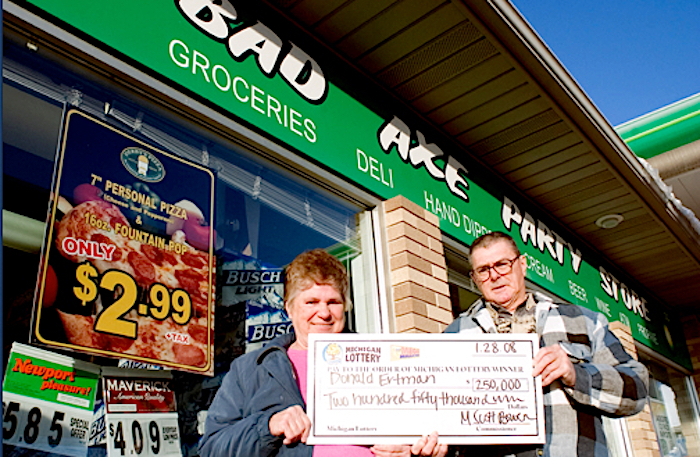 He had the correct numbers in the old Loto-Quebec Super 7 jackpot, and his ticket was correct in every detail. Except one... he bought it 7 seconds too late. When the player first approached the store owner, he asked how much longer he had for the cut-off time for the week's game. The owner told him that there was about one minute to go. Based on that, Joel bought three tickets. His winning combination was on the last ticket that popped out... 7 seconds after the 9pm deadline. And of course he lost. He took the matter to court, but so far the lottery has refused to settle the case. Advice from this story? Buy your tickets well before the deadline. One week you'll use the first 10 lines from your Profiles, and the next week you'll use from lines 20 to 40. Then you'll split between the two, or take another game altogether. Strategy-wise, it's like trying to corral a herd of cats. You're spreading yourself thin, and that never works. Stick to your knitting. Follow the Silver Lotto System instructions to the letter - and stay focused! MISTAKE #4. Playing Too Late In The Week. One of the fun things in playing the lottery game is anticipation. Thinking each day what and who you will spend your winnings on. If you make your entries early in the week, you will have more time to visionate your new life. But leaving it until the day of play won't bring you that shivery excitement of deciding where to put your next $30 million! MISTAKE #5: Playing Quick Picks. In a Louisiana lottery store, a player assumed they were buying four computer quick pick chances to win at a cost of $2 each. Turns out the tickets were all duplicate numbers, so in reality they had only a single chance for a total of $8. The player was understandably annoyed and wrote the Louisiana Lottery for an explanation. For Silverites it's just another reason to be in control of your numbers at all times! MISTAKE #6: Expecting To Win The Jackpot. The lottery jackpots in some countries are enormous, and you would think that your chances of getting the main prize is better too. Not so. It's harder. That's because the number of players, balls and numbers are bigger, so the odds increase in proportion. But the cheapest way to get better odds is to go for lower numbers. That means playing 5-ball games instead of 6 or 7. It means playing low numbers like 39, 40 or 42. Use the LottoPredict star rating to find out which game is best for you. MISTAKE #7. Adding A Random Number. Some people spy an apparent 'hole' in my system. They think it doesn't look right for some reason, and decide to add their own version. Sometimes they think the system will look a bit odd - even split away from the rules on other times. Don't worry, just trust the System and play. Don't put in your street number, a hot number from the horoscope, or that license plate number from a red car passing exactly on noon. It won't do you any good. Follow the instructions. Play a game. Play the next game. Repeat until winning. Simple! MISTAKE #9: Losing Your Tickets. Always double check your tickets. Take them to the machine, even when you think you have no wins. Were there any extra prizes? If you used a 'megaply' extra ticket, you could be holding a $5 million ticket you didn't know about. Check for more extras. Some lotteries have redraws of expired and unwon tickets, and you won't know unless you visit the store. If you have a winning ticket, immediately write your name on the back and sign it. That covers mosts problems of identity claims. Remember where you put your tickets! Always put them in the same place. That way when the excitement kicks in, force of habit will always lead you to them. MISTAKE #10. Overspending And Overplaying. Despite what I tell you to do - and with all my enthusiasm for this marvelous game of chance - never get into debt. Don't borrow to play. Don't spend the housekeeping. Only spend what you can afford, otherwise you'll feel guilty at your first 'loss' and decide to play less or give up altogether. My LottoPredict will help you save money. MISTAKE #11. Waiting Too Long To Play. My testimonial pages are littered with stories of players who didn't play, or played too late. MISTAKE #12: Not Joining A Pool. A syndicate can be one of the best ways to play lotto. And the shared cost means more tickets per dollar. So how can you get involved? There are two ways. First you can check around your workplace and get a group together. Then you'll need to nominate a leader, and fill out some paperwork so that legally your win will be shared by everyone who takes part. Then you need to collect their money each time, buy the tickets at the local store, give them a receipt, and advise everyone whether they have won or not after the game is played. This is far too complicated. That's why I developed the Winner's Circle. For a fraction of the price that you pay for tickets each game, and no effort at all, you can be part of my personal syndicate and share in the prizes. MISTAKE #13. Not Celebrating Victories. A lot of players think a $20 win is no big deal. Maybe they've come to expect it with my system that keeps showing how players get some great winnings. But look at it this way - you are doing well to get even a few dollars. Because you are competing against odds that are truly astronomical... 1 in 70 million and more in the big games. If NASA though the odds of getting to the moon were more than 1 in 2, they wouldn't have sent their astronauts there. And yet your odds are so massive that it is a miracle your numbers ever match. So when they do, you've got a true cause to celebrate. You have just beaten off 70 million other number combinations to get your 20 bucks. Celebrate, enjoy! It's all good practice for when it turns into $20 million!